Första sponsorn vi fick var J Sail, som tillverkar segel till alla i det svenska EM-laget. De olika seglarna seglar med antingen Classic J Blue eller J Red lite beroende på ”matchvikten”. Det är J Sail:s svenska distributör som är med och sponsrar laget. Länk till dem finns om du klickar på loggan. Den andra sponsorn vi fått är HTE Garden som gör markarbeten, underhåller grönytor, bygger innegårdar och parker, gör vatten och avlopps projekt, mm, dvs de gör allt det fina och gröna som vi ser när vi kommit in till land. De var även med och stöttade EM-seglarna förra året. Länk till dem finns om du klickar på deras logotyp nedan. Vi är mycket tacksamma för dessa sponsorers stöd. I morgon torsdag börjar JSM i Stockholm. Så tidigt i morse rullade detta ekipage ut från hemmahamnen i RÖSS för resa till Stockholm, där JSM går utanför Bosön på Lidingö. Du kan följa hur det går på JSM-sajten som du kommer till på denna länk. 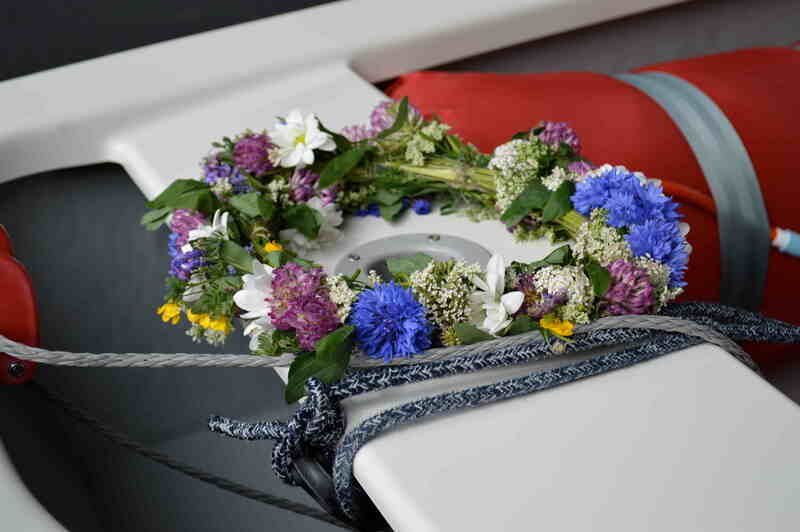 This weekend we celebrate the famous tradition the Swedish ”Midsummer”. 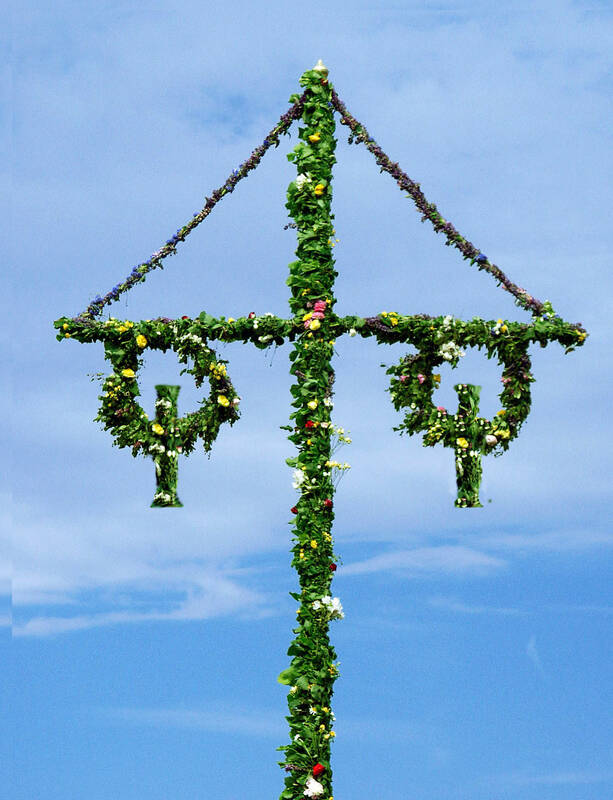 For those who never been to Sweden and don’t know what it’s all about here is a link where you can read more about it: Midsummer. After this weekend we will all be ready for the Swedish Junior Championship that will take place in Stockholm next week. So stay tuned. Detta inlägg postades i Okategoriserade och märktes Midsommar, Midsummer, Optimist. Team Racing is a very much appreciated match racing format that all sailors love. Here you are not only an individual, but a full team and you need all team members to perform well to be able to succeed. So you win with your team and you loose with your team. 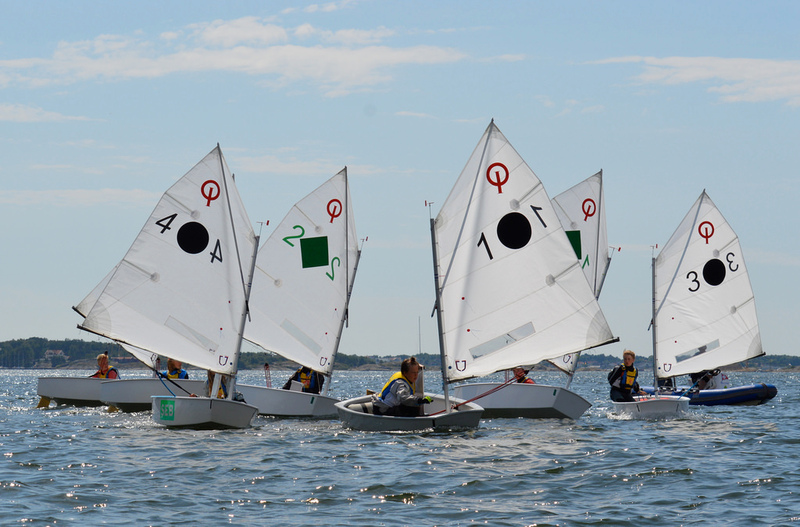 That is quite different from most of other dinghy sailing formats. Read more here on an IODA link. 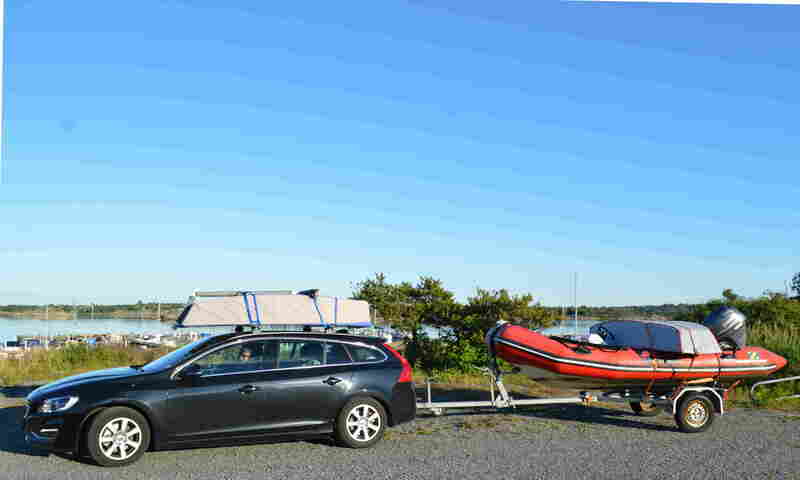 A week back a Scandinavian team racing competition was held in Hjuvik, in the nice archipelago just 10 minutes outside Goteborg. The sun was shining both days and the breeze were 6-12 knots, so there were perfect conditions for team racing. The Swedish European team was supplemented with one sailor from the last year European team to get two full teams. He (Hugo) is trying to hide behind Carl on the very left in this picture. How did the both European teams then perform? One team went all the way to the final but lost the final to the Swedish Worlds team, by 2-1. The other team won their match for third place against the Norwegian Worlds team. In total there were 12 teams in this competition. 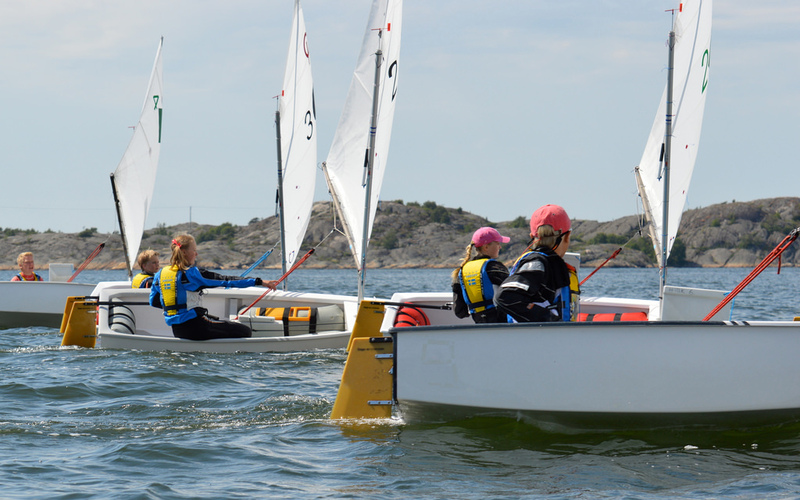 Detta inlägg postades i Okategoriserade och märktes Hjuvik, IODA, Match Racing, Optimist, Scandinavia, Sweden, Team Racing. Directly after that the team was chosen we repacked and went to the Netherlands and the Dutch youth regatta. Unfortunately Isabelle was sick so she stayed at home and the team was instead strengthened by the sailors Fabian and Alice. The first day we had a nice breeze of 15 knots from land, so the wind shifted a lot. Kasper was the one that mastered the conditions best and was leading the regatta after the first day, also Josefine and Fabian were really solid with 14 resp 15 place totally. The second day the wind had droped down to 10-12 knots, which should seams to be exactly what Eskil needed, with two bullets and one third he was the sailor of the day. For the third day we were now going in to the finals, Josefine, Kasper, Fabian, Eskil and Carl made the gold final. Isak and Alice was sailing silver after just missing the gold final and Jenny missed the silver final with just two points. Due to problems for the organizers we unfortunately only sailed one race this day. For the last day we had a light breeze of around 5 knots in what we sailed 3 races. Were all sailors went up and down in performance but everybody had some really good races. The Swedish trials are done and a strong Swedish team is selected for the European Championship in Dublin. We have sailed 15 races spread on 3 weekends. We had everything, except strong winds, on the trails current, snow, 90 deg shifts, sun, rain and hail. The team is a mix with both experienced and hungry sailors, everything needed for successes.